Keith Kelleher is the founder and former president of SEIU Healthcare Illinois & Indiana Missouri/Kansas(HCIIMK), the Midwest’s largest local union and the 7th largest local of the Service Employees International Union(SEIU). A great labor leader passed away last month. You won’t read about her in the NY Times obituary, but you should. You won’t read about her in labor history books, but you should. You didn’t study about her in your history class in school, but you should. Her name is Geneva Evans and you should remember her name, because by taking action and organizing on her job, she made life better for hundreds of thousands of homecare workers and for the millions of people they care for every year. Like so many of the millions of African-Americans who moved north as part of the Great Migration, Geneva was born on April 1, 1941 in rural Kingston, North Carolina where her family worked the land. She and her sisters worked from dawn to dusk at least six days a week trying to eke out a living for their family. At 19 she moved to Philadelphia where an older sister had settled but soon moved onto Boston. She spent her whole working life in Boston’s South End, where she was a neighborhood leader and tenant activist in public housing. She was one of the first to respond to the call to organize a union at her non-profit home health care agency, the Council of Elders, in 1981. Geneva was a leader in the campaign to demand a union, which included a march on her employer’s office to demand recognition and she later led the Labor Board (NLRB) election campaign where all but 5 of her 250 co-workers voted for ULU (United Labor Unions) Local 1475, a small national union founded by ACORN, the Association of Community Organizations for Reform Now, to organize low wage workers, like homecare workers, that others thought could not be organized. Geneva served on the negotiating committee and helped reach the first-ever contract for homecare workers in Massachusetts. Geneva participated in helping to win similar agreements in other agencies in quick succession, most notably by supporting the 500 workers at Suburban Homemaking and Maternity who waged an historic three week strike for their first contract – one of the first homecare worker strikes in Massachusetts and US history. Geneva became the president of the independent Local 1475 and remained so until the local later affiliated with SEIU in 1984. She was an indefatigable organizer and spent many Friday afternoons at check pickups at unorganized agencies spreading the union word. If she was not at a check pickup at another agency it was because she was leading a too-frequent sit in at her own poorly managed company to demand valid paychecks that could be cashed immediately. In those years, homecare workers made great strides in winning increased reimbursements and higher pay highlighted by a 12 percent increase plus health insurance and sick days in 1987. Geneva didn’t just organize in Massachusetts, she traveled across the country spreading the union gospel and spoke to the 1500 homecare workers gathered for the founding convention of the Los Angeles Homecare Workers Organizing Committee on Martin Luther King Day in 1988. That Committee of homecare workers eventually became the Service Employees International Union (SEIU) Local 2015 that today represents over 300,000 homecare workers in the state of California and have won increases in wages and benefits unheard of when Geneva first addressed them in 1988! Geneva’s local later merged into SEIU Local 285 – where she served on the Executive Board -and then into the 1199 United Healthcare Workers – East (1199UHE-SEIU). She was active in SEIU for over 25 years. Geneva remained a committed activist even as the state sponsored homecare program was falling apart under a Republican Administration. After the collapse of homecare programs in a number of non-profit agencies, including her own, Geneva went to work at a non-union homecare agency but was not successful in organizing there – not for lack of trying, to the point of being blacklisted by the agency. But Geneva’s sisters and brothers at 1199UHE-SEIU continued Geneva’s legacy and organized over 20,000 more homecare workers who work as homecare providers under another homecare program run by the state of Massachusetts, and like Geneva and the workers in L.A., won significant improvements in wages and benefits. When homecare workers were first organizing in Chicago in the 80’s and 90’s, we would meet Geneva at local and national ULU, SEIU and ACORN conventions and she always encouraged us to keep organizing and keep pushing forward no matter what the obstacles – and we did. Eventually we organized over 50,000 homecare workers in the public and private sector, and raised wages from only minimum and a $1 an hour in 1983 to $13 today, plus winning health care, improved training, hours of service, increased funding, and other benefits. Geneva’s encouragement to our leaders in Chicago, and the leaders in L.A. showed us what could be done when workers and consumers stuck together. In recent years, Geneva moved out of her beloved Cathedral project into other subsidized housing nearby as her health deteriorated. 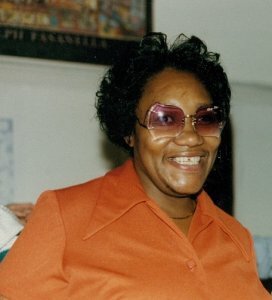 Geneva also served as President of the Committee for Boston Public Housing and was a long-time advocate for tenant organizing. And finally, she served on the Board of Directors for the Tenant Development Corporation in the South End. Outside of being a PCA and leader in SEIU, she was an active member of the Women’s Institute for Leadership Development (WILD) for 22 years. She was a WILD Board member and President for 10 years. She received the Boston Neighborhood Fellows Award from The Philanthropic Initiative in 1996. For all her lifetime of hard work and struggle, and care for many home-bound seniors and people with disabilities, Geneva received a monthly Social Security check of a paltry $930, not enough to actually live on. 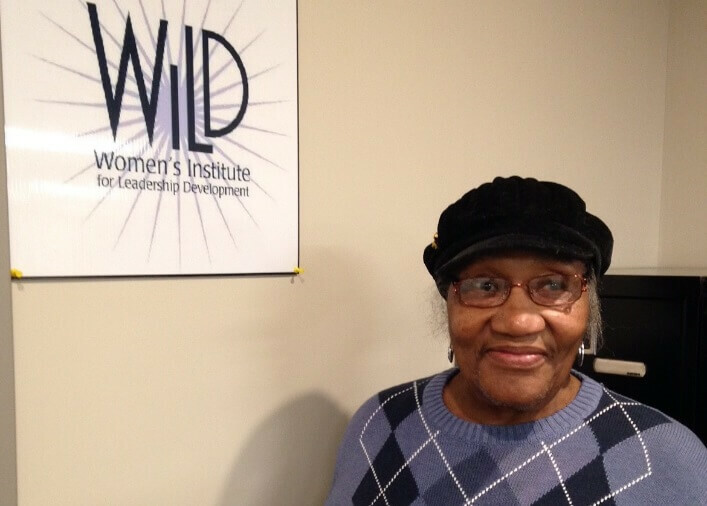 She was buoyed however, by the love and support of lots of friends and remained active in her church, in WILD, a women’s labor leadership development group, and in countless other neighborhood, union, and civic organizations. She passed away on February 8, 2018 leaving her son Jason Evans, her daughter-in-law Tatum Evans and two grandsons Trent L. Evans and Troy R. Evans, all of Somersworth, NH, as well as a large community of friends and union sisters and brothers. Geneva’s legacy as a homecare worker caring for scores of seniors and people with disabilities over her lifetime, or as a member-organizer helping her co-workers organize the first homecare union in Massachusetts, or as a national leader with SEIU, traveling to Los Angeles, to encourage her sisters and brothers there to organize, was an idea that when homecare workers stick together, they can win for themselves and the consumers they care for. Today, the organization that Geneva helped birth is continuing the fight to win an improved homecare program and retirement for caregivers so that others don’t have to spend their remaining days in poverty. So, remember her name: Geneva Evans – caregiver, organizer, labor leader, mother, wife, friend, one of the many founders of a movement to improve homecare for seniors, people with disabilities and caregivers. Author’s note: much thanks Mike Gallagher, SEIU retired organizer and leader, who wrote most of Geneva’s biography for this article. Formed in 2008 by uniting three locals, SEIU Healthcare Illinois & Indiana represents 91,000 healthcare, home care, nursing home and child care workers fighting for higher standards of quality care and quality jobs. Prior to leading SEIU Healthcare Illinois & Indiana, Keith was the founder and Head Organizer of SEIU Local 880 where, under his leadership, the local, along with Geneva Evans and Mike Gallagher in Boston, pioneered the organization of home care, child care and other low-wage workers—growing the local from just 200 members in 1983 to over 68,000 members by 2008, and winning living wages and first-ever healthcare benefits for tens of thousands of Illinois workers.